1.5 oz. 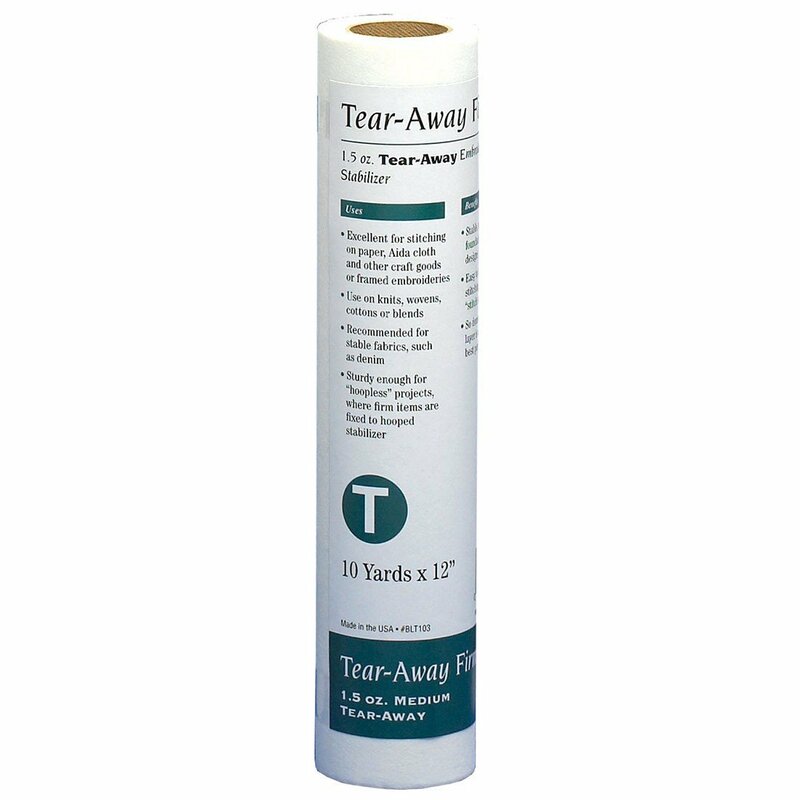 Tear-Away Embroidery Stabilizer. *Excellent for stitching on paper, Aida cloth and other craft goods, or framed embroideries *Use on wovens, cottons or blends *Recommended for stable fabrics such as denim *Sturdy enough for "hoopless" projects, where firm items are fixed to hooped stabilizer *Stable, non-stretch Characteristics foundation for stitch-dense designs *Easy to remove after stitching with no "stitch stress" *So dense that only one layer is needed for best performance. Size: 10 Yards x 12"